The Sig Sauer P250 is one of the most under marketed technological advancements in handgun technology that just never got off the ground. Let that just sink in for a second and understand both the power and failure that evokes. That is a lot of options and for those of us who are addicted to switching up our daily carry or like to shoot lots of cartridges at the range it sounds like a dream. I bought one shortly after they hit the market thinking it would be the last gun I ever buy. I realise now how ridiculous of an idea that was. In the center of the above picture you can see what Sig refers to as a metal frame. It is in essence the trigger control group as well as the rails that hold on the slide. Disassembly is similar to many guns with the exception of the easy removal of the one piece serialised trigger group. I had no issues or complaints with the way the gun broke down but you are very limited with the ability to adjust take up or to smooth out the action like you can in 1911’s, Glocks, M&P’s and other weapons. There is very little metal in this gun. It is a polymer handle, polymer trigger and polymer guide rod. The trigger housing, barrel and slide are the only metal parts you will find on this gun. That is nice for keeping the weight down but it was a bit less metal than I like to see in my guns and that is from a polymer gun fan. 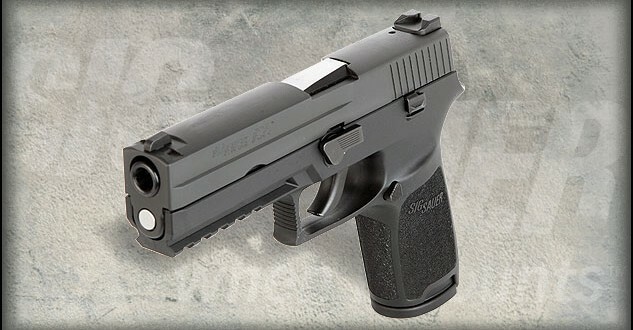 The gun runs all over in price due to the amount of way it can be configured and if it has the sig night sights or not. There is a fair amount of these in the used market on Gunbroker as well so you’re looking at used for around $300-$400 and new $450-$600. I paid $450 new for my 9mm compact version. The trigger is a self-decocking DAO trigger system with spurless and recessed hammer. The trigger system has a pull weight of about 5.5 lbs with no short reset. The multiple grip sizes offers a large advantage for people who want to target practice and carry with the same gun. Having one trigger that goes in multiple frames allows you to get really used to that specific trigger pull instead of adjusting around. Also in Michigan where we have to register every pistol purchased it is nice to buy one serialised trigger and then be able to mail order or add to my collection by buying grips and conversion kits. All of these can be shipped right from Sig without an FFL or separate registration. Conversion kits are going to cost you about $300 that includes the slide barrel and grip for the caliber and grip size you prefer. 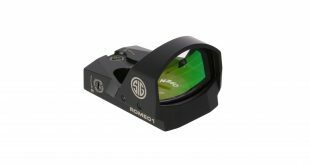 2Sum’s as sig likes to call them are kits sold from dealers that include a full size and sub compact frame in a single caliber. This is ideal for those that typically want a home defense or target gun but may want to shift to the sub compact for occasional carry. This was my goal when I first purchased the gun and on paper it looks like a great idea. The gun in limited testing of about 500 rounds was reliable. We had no FTF or FTE and we ran it with a mix of steel cased Wolf, Lawman and Federal Premium. We also ran some Federal HST self defense hollow point rounds and again no issues. The grip I had was comfortable and easy to hold. I found the molding to be quality and the controls easy to manipulate. Overall I enjoyed the feeling of the frame and would consider a gun like this in the future if it had a different trigger. Ultimately what did this gun in for me was the trigger. The trigger pull is a very long DAO pull with a good amount of takeup. I am not a revolver guy and as such this trigger was just not my cup of tea. I found it to be almost as bad as the Ruger LC9 trigger. Accuracy suffered even after really focusing on the pull with a 5.5lb pull that is very long. Double taps and follow ups suffered from the fact the reset requires the trigger to be released. If you are a wheel gun guy looking to transition to the semi auto world this is likely a contender. The trigger is likely to make you feel right at home and Sig quality is world-renowned. If you are new to semi autos and want a gun that allows you to carry with a round in the chamber without a safety, this is a great gun for you. The long heavy trigger pull makes this gun very safe and not needing to rely on an external safety in the heat of the moment could be a life saver. While you may find that accuracy suffers it is not likely to be an issue with a center mass shot at point-blank range. The most important reason to buy this would be for states or counties that limit the amount of pistols you can own. If you are in such a place having 1 gun that can rotate calibers and grips without eating up your pistol allotment is a huge win and you need to guy buy this gun today. I have never wanted to love a gun more than I wanted to love the P250 but like my highschool crush it was never meant to be. The idea of a gun that has a single serialized part that can be changed with a bunch of other parts is genuinely interesting and groundbreaking (other than the AR-15). However even that in the grand scheme does not work out let me show you why. 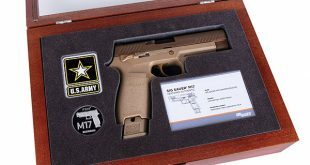 Initial gun costs $450-600 which is about the price of most polymer guns like the Glock, M&P and so on. Replacement grips and calibers cost $299 from Sig plus shipping. So for each new caliber your spending $300 and it will need a trigger mechanism change to use. This is a relatively easy process but not one you’re going to want to do all that often. So after $750-$900 you have 2 calibers 2 grips but only one gun. Buy another exchange kit and you’re at $1050- $1200 for still what equals 1 gun. For the same money you could buy 2 very reliable special purpose guns and have 2 actual guns to arm your other family members or in case of a failure. Having 2 guns usually makes more sense than having one. If your going to have only 1 then having the P250 makes no sense either as there is better guns for the same price. So in essence the market of people who will find use out of this handgun are limited. However if you fall into one of those special use cases you will not be disappointed.